Consumers might be seeing TV shows more in a supply-and-demand mentality. This comes from the ever-growing supply of TV shows -- around 500 scripted TV series. Many they would like to watch, but just don’t have the time. In this regard, maybe TV consumers value stuff somewhat less than they did in the past. And maybe that’s what Amazon figured out. Speaking to Bloomberg, the ever-present media mogul Barry Diller pointed the finger at the ecommerce service -- especially as it gives a back seat of sorts to premium TV shows. The TV stuff is on the side. Amazon consumers don’t seem to mind this approach. But we can’t look at this in a silo -- and neither does Amazon. Consumers routinely buy traditional and a couple of OTT TV services at the same time -- on-demand, live, linear TV show services, digital and traditional. Maybe Amazon is accounting for the many TV services, as well as too much program supply. Major TV advertising brands? They have yet to commit to Amazon. 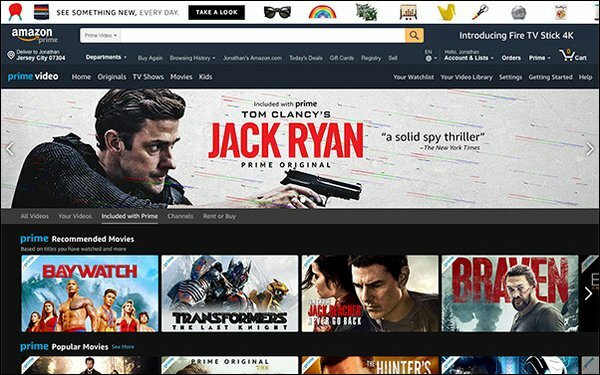 But the future could supply integration, say a big ad-supported Amazon video service accompanied by deals for advertisers when it comes to their products/services sold on Amazon’s ecommerce site. And for the pure non-ad free TV and movie content, there is always Netflix to consider. One question for future: Is the big SVOD site offering some TV shows “on the side”? Diller sees too much consolidation, which has been a major complaint in regards to the five major movie-TV studios that controlled virtually all TV content over the decades. Don’t worry when it comes to the battle of traditional media versus new media. Diller believes the former will win: “They’ll actually supersede them.” Amazon and Netflix as a side salad -- or main course? 1 comment about "Is Traditional TV Fighting Amazon For Supremacy?". Ed Papazian from Media Dynamics Inc, October 5, 2018 at 9:11 a.m.
Wayne, when and if Amazon creates enough viable content---news, sports, game shows, reality shows, dramas, sitcoms, talk shows, etc. and gets significant numbers of people to watchthese programs and holds ad clutter in check and can demonstrate that an ad "exposure" on a smartphone or tablet has the same impact as one seen at home on a TV set and if Amazon prices its many offerings fairly relativel to competitive options---then it can attract major TV advertiser ad revenues. It remains to be seen whether Amazon will continue to be mainly a direct response ad medium or do what it takes to become a branding advertiser's medium---the two are far from being the same thing.